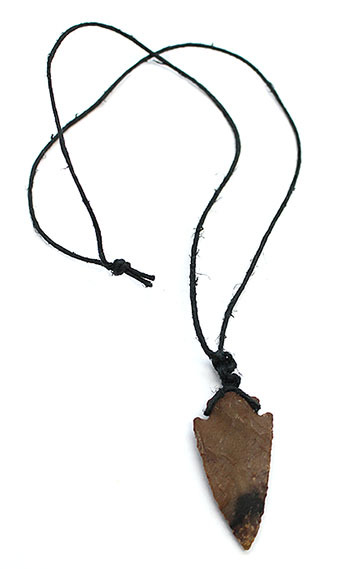 This carved arrowhead is made from assorted colors of flint and wrapped and strung on hemp cord. Arrowhead mesures approximately 2" long by 1" wide. Cords are about 24" long. It is Navajo hand carved by Phil Corley. Colors and sizes of arrowhead will vary. Mostly in dark & light browns, some tans, grays or white. Choose color when ordering.